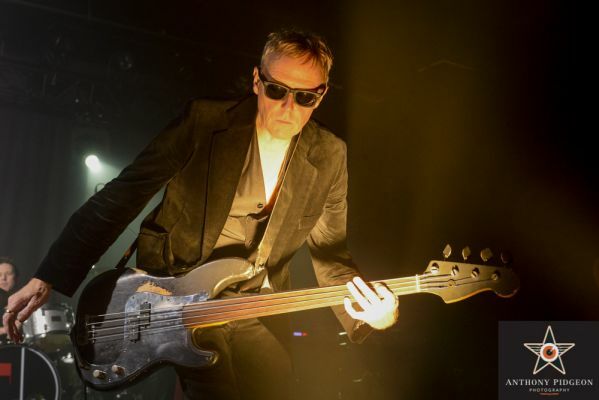 By ANTHONY PIDGEON // In Portland last weekend for his 40th Anniversary of Bauhaus tour, also featuring Bauhaus bassist David J, Murphy and the band held fans in their collective spell for close to 2 hours. 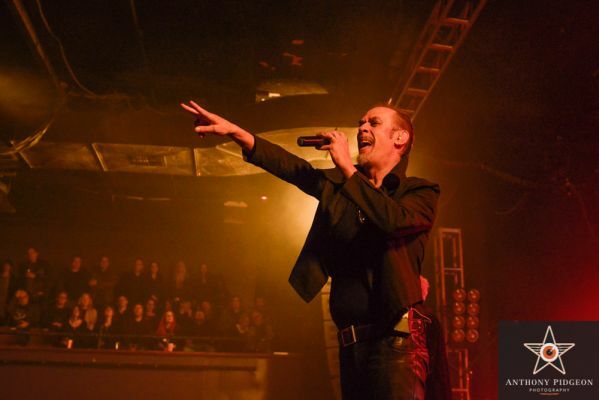 There is no artist quite like Peter Murphy. At 61, he maintains a spring in his step, fire in his eyes, and still commands a room like no one else. 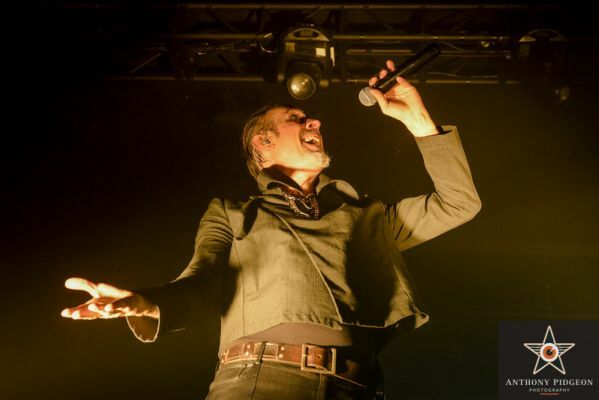 As Bauhaus' singer since the late 70's, and throughout his ongoing solo career, Murphy's work has encompassed a wide range of sounds and styles, always built around his rich baritone voice, powerful delivery, and undeniable theatrical flair. 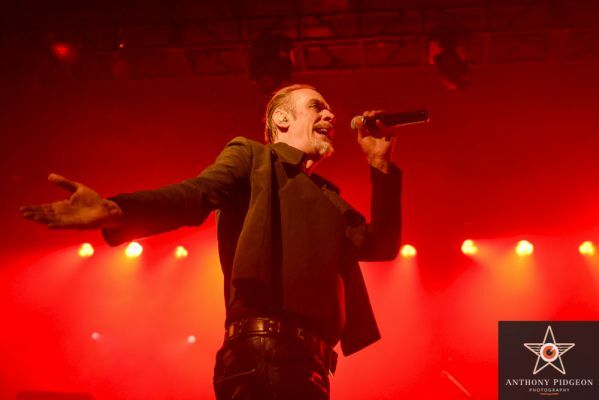 Though revered in the goth and post-punk communities, Bauhaus themselves never achieved mainstream saturation, but even for those unfamiliar with his music, Murphy's own visage has become an alternative-culture icon via an eclectic combination of visual appropriations. 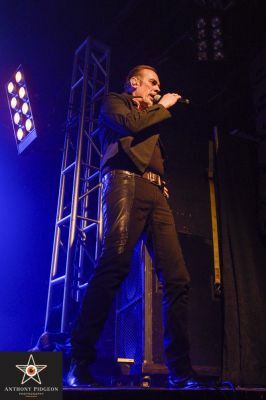 Bookended by his vampiric appearances in The Hunger and The Twilight Saga films, as well as having both of the graphic novel characters Dream (from the Sandman series), and The Crow based on his looks, and of course his famous Maxell ad campaign in the 80's, (as the man in the chair being blown away by a speaker), Peter Murphy has likely been a part of your collective consciousness in some form or another, whether you specifically know of him or not. 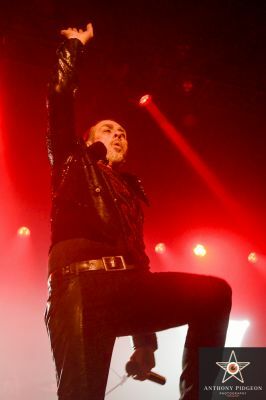 Later musical collaborations with a diverse range of artists, from Trent Reznor and KMFDM to Mercan Dede and Cheb I Sabbah have further expanded his profile, but he has always followed his own muses of experimentation and self exploration, and his fan base is fiercely loyal no matter where he goes. 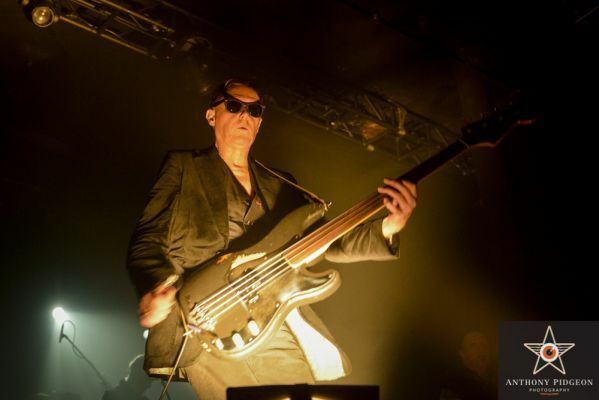 In Portland last weekend for his 40th Anniversary of Bauhaus tour, also featuring Bauhaus bassist David J, Murphy and the band held fans in their collective spell for close to 2 hours. 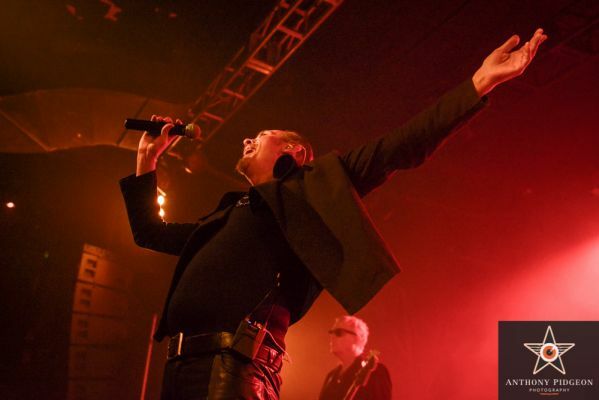 His intense energy built throughout the show, starting with a track by track performance of Bauhaus' entire first album “In the Flat Field”, drawing the audience into a variety of sonic and visual spaces throughout the set. 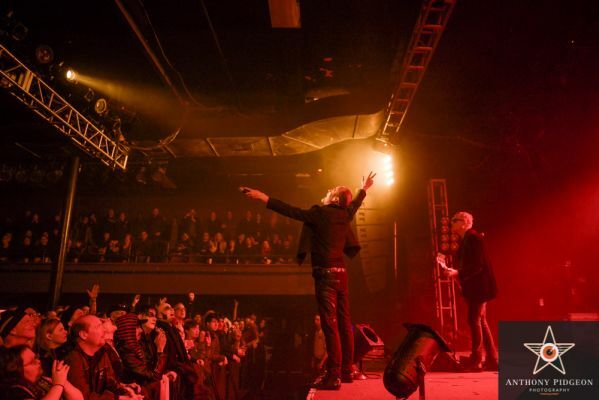 Each song or grouping carried a different gravity, accentuated by different lighting, instrumentation, and costuming. 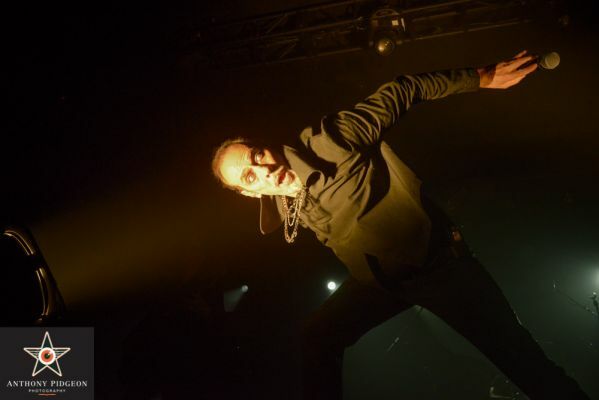 Between the combined influences of Murphy's wife, the Turkish choreographer and filmmaker Beyhan Murphy, and his own sense of the theatrical, he is well versed in the concept of taking the audience on a full immersion journey. 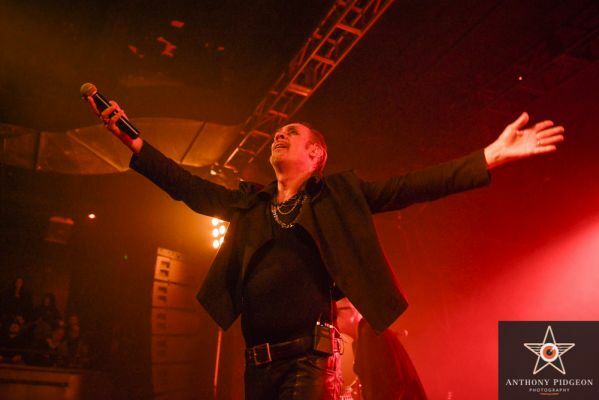 The performance continued with more classic Bauhaus greats, beginning with arguably their most iconic song “Bela Lugosi's Dead”, where post-punk angst, glam sensibilities, and Gregorian dirge coalesce into a slow burning goth masterpiece. 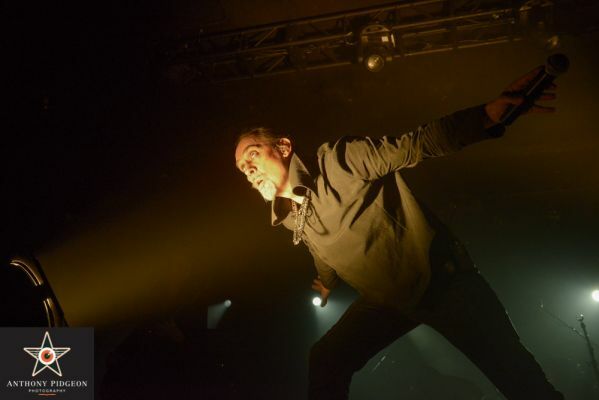 Additional crowd favorites built on the heightened energy, including “She's in Parties” “Kick in the Eye”, “Silent Hedges”, and “The Passion of Lovers”, until Murphy was at a fevered pitch, pacing the stage and knocking over equipment and lighting as he closed out the set. 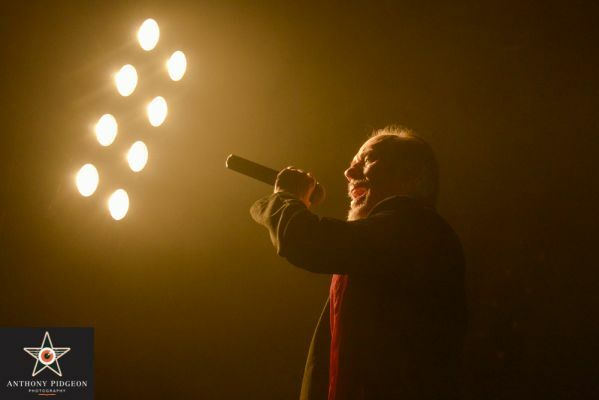 After an encore, including a raw cover of Dead Can Dance's etherial “Severance”, Murphy ended the show at the edge of the stage, blowing kisses and thanking the cheering crowd. 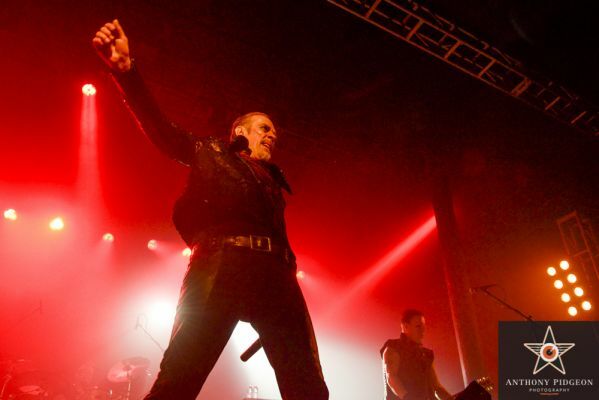 For those keeping score, the Godfather of Goth still owns the mantle.